The holiday season brings a flurry of frenzied consumerism, unabashed greed and endless shopping. As a parent, though, you want your kids to associate this time of year with giving and not just with taking. How can you give your kids a joyous holiday season and teach them about kindness at the same time? Is your toy chest overflowing? Do your kids have more games than they need? Institute a rule this holiday season: When you've gotten a new toy, choose one to give away. Set up a large box in the corner of your playroom and have your children place one toy in the giveaway box for every new one they receive. They can choose older toys they've lost interest in or those they've outgrown. When the box is full, take a family trip to the local toy drive or to a needy family in the neighborhood. Watch your kids' faces light up as they make others happy with their thoughtful donations. Designate one evening this season for writing holiday cards. No, not to your family and friends – these cards are for children who've been stricken with illness. Set up a table with lots of cardstock and all your kids' favorite crafts supplies. Speak to your family about sick children who might be sad this Christmas and could use a simple homemade greeting card to cheer them up. Have fun creating your masterpieces and inscribing them with positive, encouraging messages. Then, get your gang into the car and drive over to the local hospital to deliver them personally! Many grocery stores hold food drives during the holiday season. 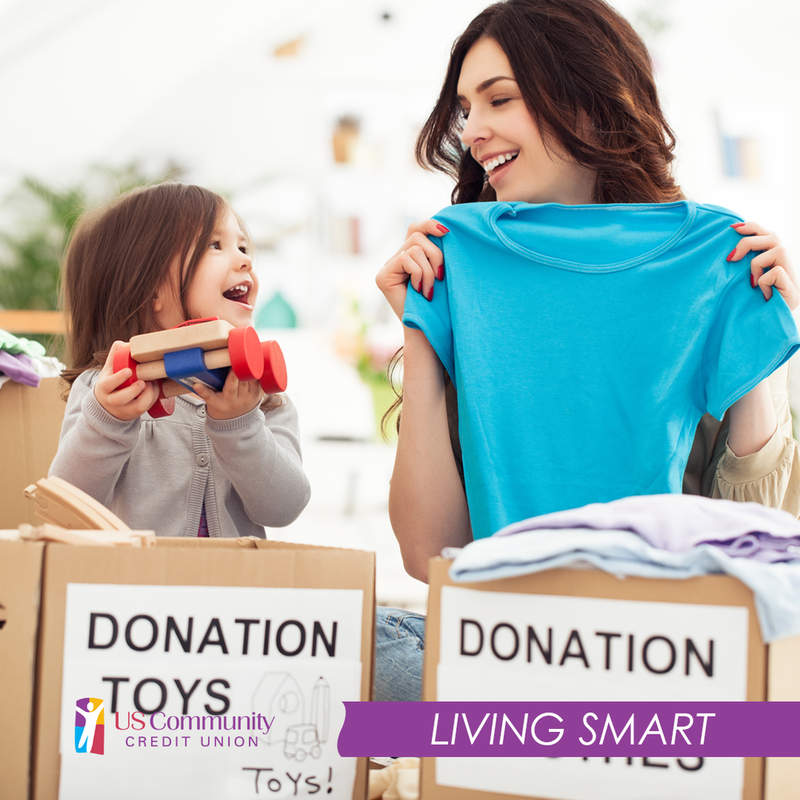 Help support a local cause and teach your children about giving to others at the same time. Take your child along with you on your next trip to the grocery and have them choose one food item to purchase for the food drive. If you usually let your child pick a treat at the grocery, ask them if they'd like to forego it this time and instead buy something for the needy. Make sure your child is the one to actually place the chosen food item into the collection bin so they can personally experience the joy of giving. Does your child love performing? If you've got a young star at home, this is the perfect way to teach them to use their talents to make others happy. Have your child invite several friends over one afternoon and ask them to prepare a small dance or a short comedy routine. Let them dig through your costume collection to outfit themselves for their grand debut and practice their gig until it's perfect. Then, delivery them to the local nursing home for spreading the cheer among the residents. They'll relish the stardom and the residents will adore the little performance. That's a win-win all around! Your Turn: How do you teach your kids to think of others? Share your best strategies with us in the comments!